Statistics show that, aside from losing customers, the leading cause of business failure is loss of critical data. 70% of companies that lose data for 5 days or more go out of business. An effective disaster recovery and operational continuity plan can reduce losses by 90% in the event of an incident. 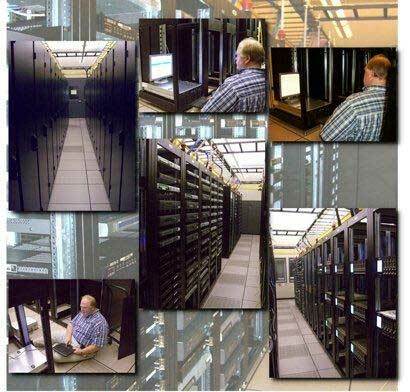 In 2003, Backup RX was formed to offer safe, simple and secure data storage to small and medium businesses. Our Backup Manager and EZ-Click software provided off-site secure storage for our client’s most important data. Soon after, based on input from our clients, we introduced Liaison, an appliance that provided immediate local data recovery from multiple data stores. A natural next step, Failover Service, was soon introduced. Using virtually replicated servers housed in the PES SAS 70 datacenter, this solution allowed our clients to continue performing the day-to-day tasks of running their business operations even if their local hardware failed. Today, we have taken the Failover Service to another level. Backup RX Cloud Services eliminates the need for local data storage and server hardware. Clustered (redundant) servers in a private cloud offer the ultimate in business continuity and disaster recovery, with no maintenance or hardware issues to deal with, and backups of all critical information are included. Our Cloud customers have secure, private access to data, applications, and resources without the added costs of keeping their infrastructure supported. Data security, accessibility, and compliance issues are a thing of the past. In addition to hosting servers in our Cloud Center, Backup RX also offers many Cloud application packages, from Hosted e-mail and Microsoft Office, to Cloud faxing and Hosted PBX (telephony). We can also monitor and maintain entire networks remotely, saving our clients on the high costs of on-site tech support. We strive to provide the ultimate in business continuity and disaster recovery for small businesses that want and need the same type of technology solutions that Fortune 500 companies have had for years. We continue to watch the evolution of technology and will bring that new technology to our customers at prices that are sensible and affordable. We believe in what we sell and we use it ourselves, so rest assured that we stand behind it.